This news is to be given a cautious welcome. Let’s hope that ‘much closer’ doesn’t mean merely removing the “disgusting smell” (not my words) whilst leaving in the PEG4 and other chemical additives. Unless the soap’s hypoallergenic and non-comedogenic properties are restored, many of us will still not be using the re-reformulated soap. It was a campaign that started here on greyhares last month and we are proud to have played our part in the apparent climb-down. Thanks to everyone who has contacted us and/or posted a comment but let’s keep our powder (and our soap) dry until the re-reformulated soap comes out. 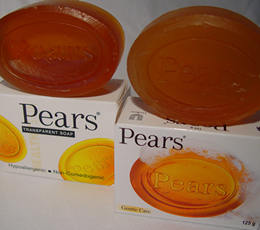 Media commentary: Pears Soap – was it really Facebook that won it?